Which of My Books are on Sale for Read Tuesday? As you may know, I’m the founder of Read Tuesday—a Black Friday type of event for book lovers on December 9, 2014—and I’m also one of the many participating authors. 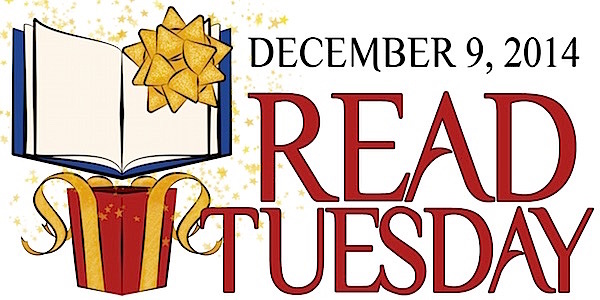 Really, this post is about Read Tuesday and the many amazing books on sale for the event. But I want to show authors that they could promote their own books while promoting the event, so in that spirit, I will describe which of my books are on sale for Read Tuesday. 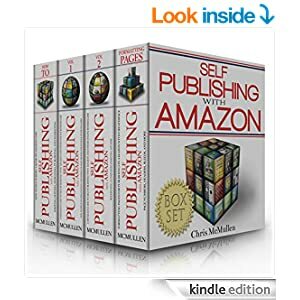 My self-publishing 4-books-in-1 boxed set is participating. The Kindle edition is temporarily reduced to $2.99 (compare to $17, the price of buying each volume separately). The Kindle edition is ridiculously priced less than the cost of Volume 1. The paperback edition is down to $19.99 (compared to the individual cost of $37). Buy the paperback at Amazon first and get the Kindle edition free through MatchBook (give the paperback as a gift and keep the Kindle edition for yourself). Or buy the paperback edition at CreateSpace at https://www.createspace.com/5099591 and save 40% (on top of what you already save) with discount code LARLUWFM (valid only at CreateSpace). Click the image to view at Amazon. 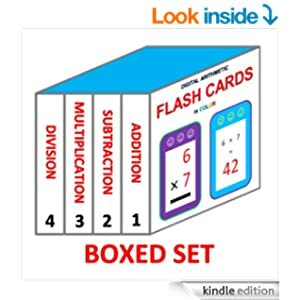 My arithmetic boxed set is also on sale (get 4 books for the price of 1). Click the picture to view at Amazon. Thank you for introducing us to Read Tuesday. I made my novel, Gold Rush, free for the day on kindle. Received ~70 downloads. Was hoping for more but as long as a few reviews result from it, I am happy. I’d like to hear your ideas on getting amazon reviews. I am published on amazon through KDP and CreateSpace. Have not had a single review yet and need help. Reviews often don’t have the impact that we expect. Customers do like to have a variety of opinions to judge from, and sometimes seeing that there are reviews helps a little to attract to a product page, but in the end, most customers have learned to judge the Look Inside. Sometimes a few good reviews come and sales slip because it arouses suspicion. You never know when you’re going to get a review, what it will say, or what impact (if any; often none) it will have. There are legitimate ways to help stimulate reviews, like giving a Goodreads giveaway (which has the added benefit of giving a little extra exposure for a book), or approaching bloggers who frequently review books in your genre. But the best reviews might be the ones you get just by having more sales. The natural, varied, occasionally crazy reviews you get from actual customers are perhaps the most valuable, but it often takes many sales to start getting them. What we really want is more readers (and reviews may not be the answer to that problem). It takes good packaging (cover, blurb, Look Inside), effective marketing, and patience. I would put more time into writing books, yet still find time weekly to grow an online and offline author platform. Personal interactions that you make, especially with your target audience, are more likely to result in readers, reviews, and recommendations (the story itself plays a strong role in the latter two), and thus can be one of a new author’s best assets. it’s easier to say and harder to do, but if you can find more ways to find readers, the reviews will come on their own. I missed this or I could have re-blogged it. Darn! Thanks for understanding, still, it’s nice to support fellow bloggers, smiles to you.